Geographic characteristics: topography, major land-forms, climate ,vegetation and how these factors impact the way people live, make a living, and view the world. Economic characteristics: modes (methods) of production, distribution, and consumption; role of agriculture (and land ownership), industry, mining; trade within region (and external); labor; disparities in wealth and poverty. Political Characteristics: number of countries within region; types of government; relationships between nations in region; regional organizations (SADC: Southern Africa Development Committee); political conflicts, democratization and human rights. Uniform regions: are regions that share a distinct and readily identifiable set of characteristics that can be physical (topography: mountains, plateau, lake, river, coastal, climate, vegetation), cultural (language, religion), social (ethnicity, race, population density), political (type of governance level: central, state, local,) economic (mode of production, type of production: agriculture, industry, mining) or historic (common history, area ruled by same colonial power). Nodal regions: A nodal region reflects the influence of a node;often a city, major mining center, major sea-port on the surrounding area. Interaction (trade, communication) and not a shared physical characteristics, define nodal regions. Regions are social constructs. That is, they are created by humans to help organize, make sense of, and interpret human activity within a given geographic space. Consequently, regions (whether uniform or nodal) are dynamic and undergo continuous change, sometimes resulting in dramatic spatial change in the shape and size of a region; and occasionally in the demise of a region when it has changed so much as not to warrant its original classification. 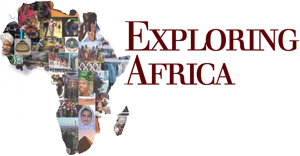 Regions in Africa Historically, there have been a number of ways in which Africa has been regionalized in the academic disciplines, by international organizations, and by international governmental agencies. In the post-colonial era, many international organizations, foreign governments and academics divided Africa into two major regions: North Africa (Arab Africa) and Sub-Saharan Africa (Black Africa). The rationale for this bifurcation of Africa into two regions was political and cultural. Many outsiders perceived Sub-Saharan Africa as being socially and culturally distinct from North Africa. According to this regional and racialized classification, Sub-Saharan Africa is comprised of traditional African cultures and societies and by the black race. North Africa, on the other hand it is claimed, is dominated by the Arab culture, language, and non-black peoples, who physiologically, culturally, and socially are not African, with their roots in western Asia (Middle East). This regional classification resulted in the common, but fallacious, perception that North Africa, is not really Africa, other than that it is spatially contiguous with the rest of the continent. In the past decade, there has been a growing recognition that the division of Africa into these two regions was created to fit anachronistic cold-war and racialized paradigms of the world that are not viable. While North Africa has a shared Arab heritage which distinguishes it from other regions in Africa, there are social, physical, cultural, and historical connections which unite North Africa with the regions south of the Sahara and makes a stark bifurcation between North and Sub-Saharan Africa untenable. Moreover, a bifurcated regional classification fails to recognize important regional diversity in Africa south of the Sahara. Geographers and other social scientists (economists, political scientists, historians) usually divide the African continent into four to six regions. Given the social, cultural and economic diversity within each of these regions, the rationale for constructing these regions is primarily spatial location. Six regions: North Africa, West Africa, Central Africa, North East Africa, East Africa, Southern Africa. In this unit we will divide Africa into five regions, primarily for pedagogical reasons. That is, in this curriculum we have followed a framework of five module units. By focusing on five instead of six regions we will not overlook important intra-region variation in East Africa (by including north east Africa in the East Africa region) nor will the integrity of our curriculum be compromised. This module will introduce students to the cultural, social, economic, and political richness and diversity of the southern African region. Through the learning activities, students will learn about the primary physical and social characteristics of this dynamic region, and come to understand the social, economic, political, and cultural processes and relationships that lead to continuity and change within the region. Geographic characteristics: topography, major land-forms, climate vegetation and how these factors impact the way people live, make a living, and view the world. Throughout this module, numerous photographs will be used. It is important to remember that photographs do not represent the ways things are. A photograph of a political meeting in Zimbabwe, is not representative of how all political meetings take place in Zimbabwe, still less in other southern African countries. Such a photograph is just one among many possible representations of political organization in Africa, just as a photograph of an American child playing her favorite game gives only one snapshot of American adolescents at play. Photos are used in this module to help illustrate social, cultural, economic, and political activities and practices in southern Africa, and they do not represent a uniform way in which people engage in these processes. In this module, students will be introduced to a number of terms and concepts that may be unfamiliar to them. We have developed a glossary in which we include terms/concepts used in the module that we feel may need explanation. These terms will be highlighted in the text. Clicking on the highlighted word will link the user to the glossary. What are the main characteristics of the topography of southern Africa? What are the main characteristics of climate in southern Africa? What are the vegetation zones in southern Africa? How has the physical geography of the region impacted human activity? How has the history of the past 500 years impacted the region? What are the primary economic resources of southern Africa? How important are agriculture, mining, and industry in the regional economy? How have race, ethnicity, and language influenced the history of and current social structure and relationships in the region? What is the potential for regional political and economic integration in the southern African region? A clearer understanding of the concept of region and how this concept is articulated in southern Africa. An appreciation for the importance of history, environment and social factors in constructing the region of southern Africa. The ability to assess the factors that have led to change within the southern African region. The ability to think more critically about social and environmental processes as manifested within a geo-political region; southern Africa. Activity One: What do we know about Southern Africa?